Dickey Hill Farm is a small diversified farm in Monroe, Maine, just 10 miles up the road from downtown Belfast. 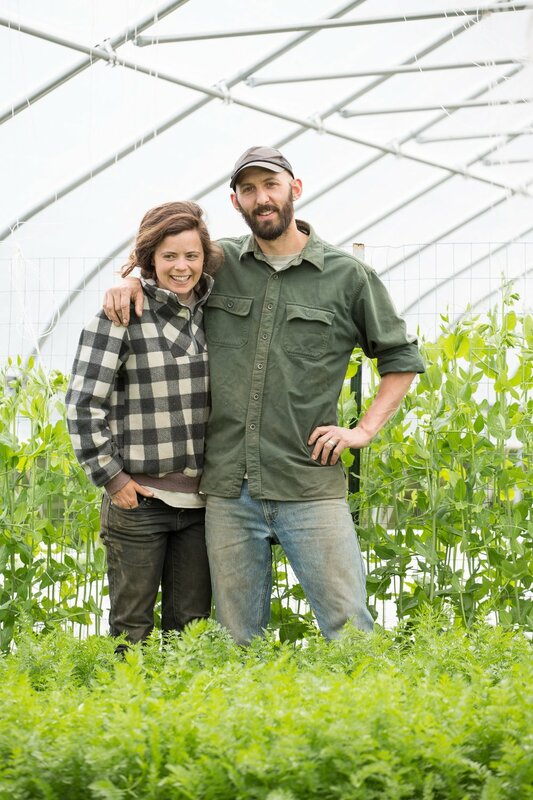 Dickey Hill Farm is owned and operated by Noami Brautigam and James Gagne. 2019 will be our fifth season stewarding this hillside. At Dickey Hill Farm, we currently grow one acre of MOFGA Certified Organic field vegetables, while working to expand our unheated high tunnel production so we can harvest fresh, frost-sweetened greens year-round. Our holistic farming approach also offers seasonally available grass fed beef. As we grow our business, we are committed to maintaining and enhancing the health of the land while providing nutritious food to our community.